Budget House Boats Kerala (BHK), an innovative venture of Wonder Cruise Holidays, specialises in conducting romantic backwater cruises to the discerning traveller as per their time and budget. Being focused on high quality services and total customer satisfaction we will do everything to meet customer expectations! Budget House Boats Kerala offers you exotic Travel Destinations with complete tour packages of South India Kerala, Karnataka, Tamil Nadu. 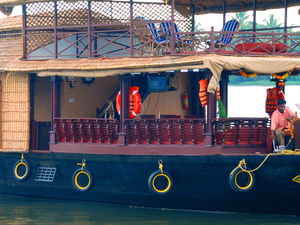 Since 2005, Budget House Boats Kerala operates from Alleppey in Kerala which is acclaimed as the Venice of the East. Our fleet of next generation house boats (Kettuvalloms) consisting of 1, 2, 3, 4, 5 and 6 bed room houseboats has been functioning as family house boats, Honeymoon Houseboats, Corporate Houseboats offering visiting tourists' outstanding services in the backwaters of Alleppey. Budget House Boats Kerala also offer a variety of backwater suites customized to the requirements of the tourists.